AT least 10 Bangladeshis have become millionaires by selling fake support letters to bring in illegal foreign workers, reported Berita Harian. In fact, they had also forged their citizenship papers in order to obtain genuine foreign worker passes in Malaysia. Once they had settled in Malaysia, they started their operations and charged RM6,000 (S$1,970) for each Bangladeshi wanting to enter the country. These "agents" supposedly make more than RM1.8 million a month by bringing in hundreds of workers. The daily had previously ran a story that at least 20,000 Bangla­deshis had entered the country in the past two years using the forged documents. 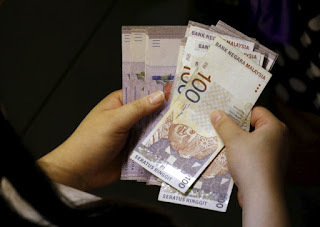 Mohd Ridzuan Abdullah, the head of an organisation that assists small and medium-scale entrepreneurs called Ikhlas, said Bangla­deshis were willing to pay as much as tens of thousands of ringgit to enter the country. He claimed to have obtained this information because some of the Bangladeshi "millionaires" had monopolised the business of managing the entry of illegal workers. "Some even married Malaysians to facilitate the expansion of their business," he said.